Each piece in Steinbach's the night before Christmas series celebrates the beloved Christmas poem by clement Moore. The third piece in this series is the storyteller. 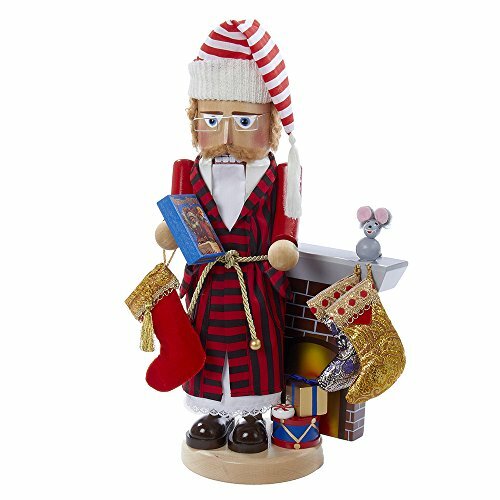 At 17" tall, he is standing in his sleeping cap and robe by the fireplace (complete with stockings hung with care), ready to tell you the tale. He is holding the storybook in his hand and at his feet are gifts - a mouse has even shown up to listen to the story.